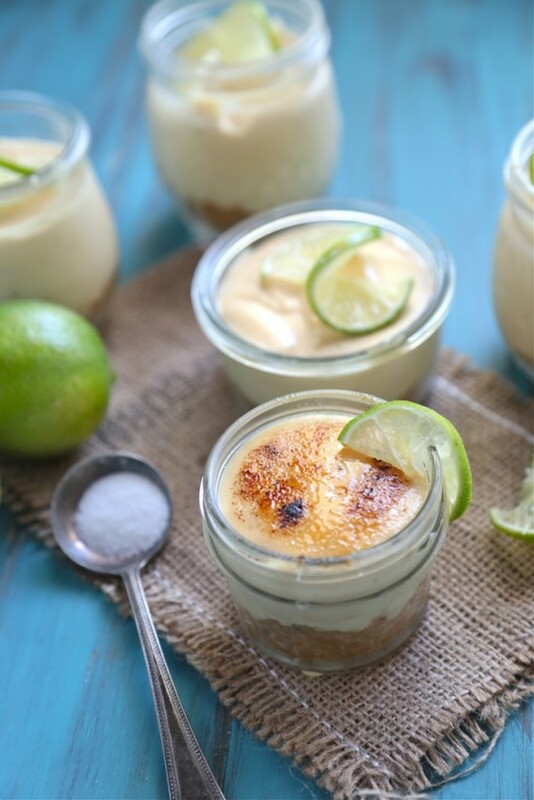 Creamy, custardy, sweet and tangy pie is totally top of the list of things to make this summer – no travel required for these true tasting mini no bake key lime pie treats! Being a woman in the construction and project management field is a pretty cool thing. It was a field I fell into completely by accident. But my days often present new challenges and even though the majority of my time is spent behind a computer, its the days I get to go into the field and see it all up close that are always really exciting. My current project is building a building that will house the building of airplanes for Boeing – pretty neat stuff – especially since I am the 4th generation of my family to work at or for Boeing! My great grandma was even a Rosie the Riveter! And the guys I work with are some of the best in the business, the good ol’ boys that build monuments made of steel and iron. So, like I said – it’s construction, so though not always the most refined or ones with a lot of words, I found out last week after my mini-work-tragedy, that these guys have hearts of gold. The day after Struggles II passed away right before my eyes after three years of being my work buddy, my desk companion, and yes even my travel companion on long weekend road trips where he would sit in his travel mug in my cup holder, I came into work to find an empty dark tank and a little sadness in my heart. Sure, he received a proper send off down the toilet in a Red Solo Cup – or as I call it, the Toby Keith send off – but walking into work with a dark tank was a little sad. While I was tucked into meetings and shut away in conference rooms, the powers that be were at work – namely my boss and old school iron worker construction manager (CM). In Seahawks colors none the less. These guys blow me away. I laugh at the image a gruff old iron worker in full construction garb standing in front of a row of fish in fish tanks picking out the “perfect” beta for his office engineer and shaking his head the whole time. But now, all is right in the office once again and we have dubbed him Struggles P. Sherman III. Obviously Struggles was the natural choice, as he is the third in a long line of Struggles the fishes. Sherman, for our famed Richard Sherman, and P. Sherman for any of you who know Finding Nemo… well, this was a given. I just won’t tell the guys about the “P. Sherman, 42 Wallaby Way, Sydney” hommage… They are construction workers after all, and I have to maintain my credibility somehow. I made the mini no bake key lime pies for a dinner party a couple weeks ago to celebrate Ben’s graduation with friends! They were a huge hit. I love that they were no bake, too because ain’t no one got time for that! Now, we have about two dozen limes to eat our way through and this helped use some of them up! I trusted Cook’s Country for this recipe, because they tried it 29 different ways before finding this perfect lime combo. They originally made it in one pie, but I wanted minis for easy serving. And if you’re feeling like a rebel, add a little sugar to the top like I did, and make them brulee!! Damn, we fancy! 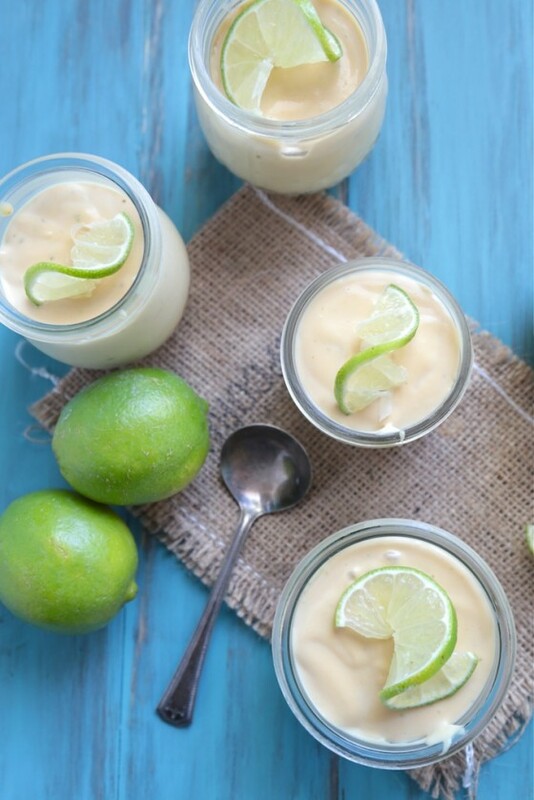 If you’re in the mood for more lime – try this Key Lime Curd, too!! Preheat the oven to 350 degrees. In a large food processor with a blade attachment, add in the graham crackers and 1/4 cup of sugar and pulse until crumbs form. Add in the melted butter and continue to pulse until the mix looks like wet sand. 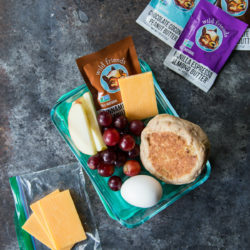 Dive into 6-8 mini ramekins or mason jars. Place in the jars on a cookie sheet and place in the oven for about 10 minutes. Remove and allow them to cool. In a small dish, add in the gelatin and 4 tablespoons of the lime juice and allow the gelatin to "bloom", about five minutes. Once it has bloomed, place in the microwave and microwave for 10-15 seconds, until the gelatin melts completely. Wipe out the food processor bowl and blade and place back on the base. Into the bowl, add in the remaining 1/4 cup sugar and lime zest. Pulse together until the sugar begins to look slightly green. Add the softened cream cheese into the bowl and mix until smooth. Next pour in the condensed milk, and vanilla pudding mix and blend until smooth. Scrape down the sides and bottom of the bowl to ensure all the mixture has been blended uniformly. Add the gelatin, remaining lime juice and vanilla to the mixture and blend until completely combined. Pour into each of the ramekins or cooled mason jars. Place the filled jars in the fridge for 4-6 hours, or overnight. Serve chilled with a slice of lime on top or sprinkle with a little sugar and use a blow torch to brulee the tops for a fancy touch!! 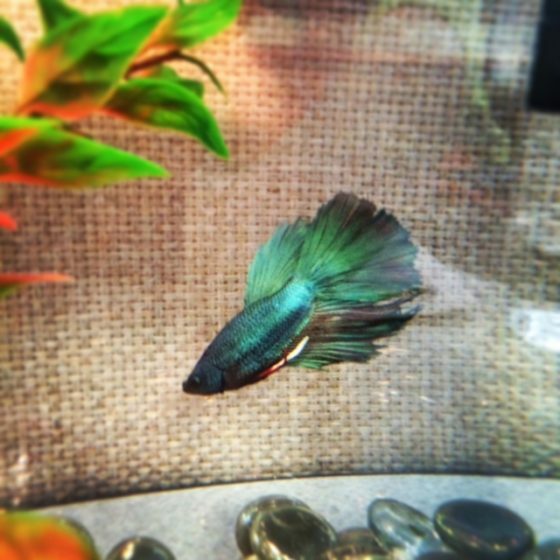 Yeah, he’s a fiesty little fish – he fits in his new home! Yay for new fish! And yay for key lime! These are amazing. And I love the brulee’d top! Gorgeous little pies! I love desserts in mason jars! Everything is better out of a mason jar, right?! What a good man to replace Struggles. Love these mini no bake pies and they are perfect for any dinner party. Right? They are good guys – I’ll bring them pie to say thanks. Maybe even these! I’m always up for no-bake pies. Love the the story of Struggles II. Thanks Naomi! Struggles was a great fish – I think Struggles III will be just as great. Aw, what a sweetie to bring you a new fish friend!! Yeah, these guys are just push overs. I win at awesome co workers! Just toured the Boeing plant in Everett this past weekend (had some family in town). It was so cool! The size was mind blowing! These desserts are FAB. I can’t wait to make them. I’m all for no dishes and no turning on my oven! Oh my gosh, no way!! Then you surely saw My SITE!! It’s the one with the two BIG cranes outside!! What do you mix the gelatin with? I love individual desserts like this and I also love no bake! Awesome post! Yes!! No bake is always a win! Thanks Jaclyn!! Long live Struggles P. Sherman III! 😉 Thanks for the recipe – I’m excited to try this one out. My sweet tooth is becoming problematic thanks to your blog…and I do not have a crew of burly construction workers to offload all my excess desserts on!! 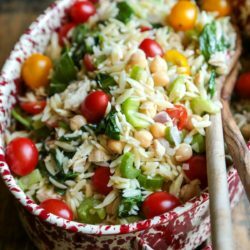 I hope you love this recipe!! Please let me know how it turns out! Adorable!!! Love key lime pie!! Aww thanks lovely!! If I hadn’t eaten them all I’d totally share them with YOU!! 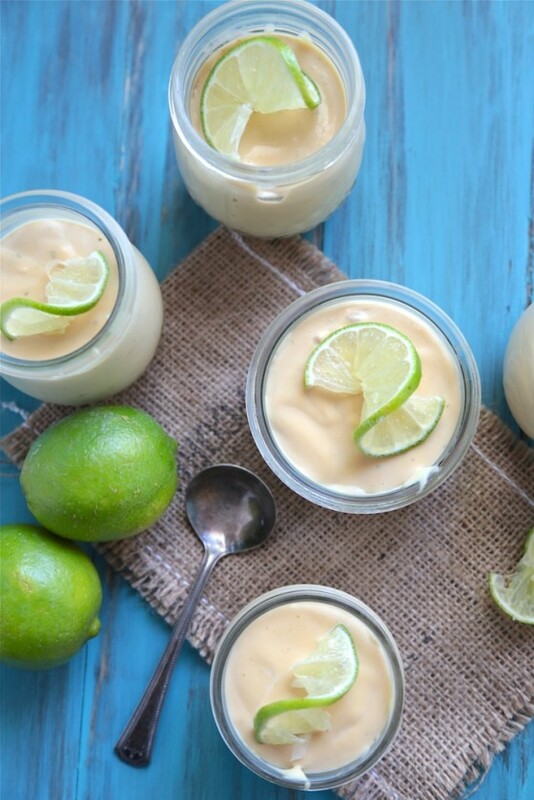 i am too obsessed with key lime pies at the moment.. anything citrus related ticks all of my boxes! 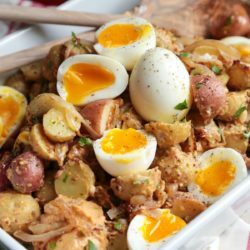 definitely saving this recipe to recreate in my kitchen, looks delicious! Sorry about Struggles 2 and welcome the new little guy who is gorgeous. I have been on the edge of construction projects and I am quite invigorated about doing that myself. 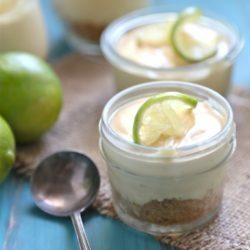 I also love key lime and just made a dessert this past weekend that featured that flavor. My Mom was a Rosie the Riveter also back in Maryland. And I live in Port Townsend and am a UW alum. So I am feeling a connection here. Laughing. YAY for new Struggles!!! What a beauty! AND I wish I was at that dinner party!! I would have stuffed my belly with ten of these gorgeous pies! That was seriously the cutest story! I’m so glad you have a new Struggles! 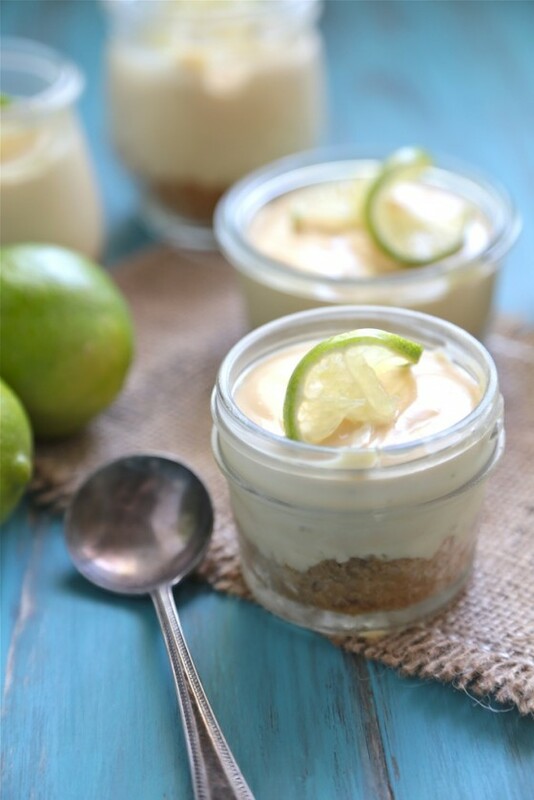 As for these mini key lime pies, AMAZING, love me a good mini dessert! Oh my goodness! I just made these last night for a dinner party. So good and very easy! They were the hugest hit. I also put out sone blueberries tossed in a but of sugar to put in top of people chose. It was a great combination. I will be making these again! Thank you for the great new idea! Sara, I’m so completely pleased these were a hit!! And blueberries are a GENIUS addition!! I haven’t tried freezing these, but it’s worth a try! Oh god really???. When you click on “get the recipe” that is what you want…not a dumb story that goes on and on and has no point.